Historians, students, hobbyist researchers and general fans of the Soo Locks and Great Lakes shipping now have access to some of the best primary source images known to exist. 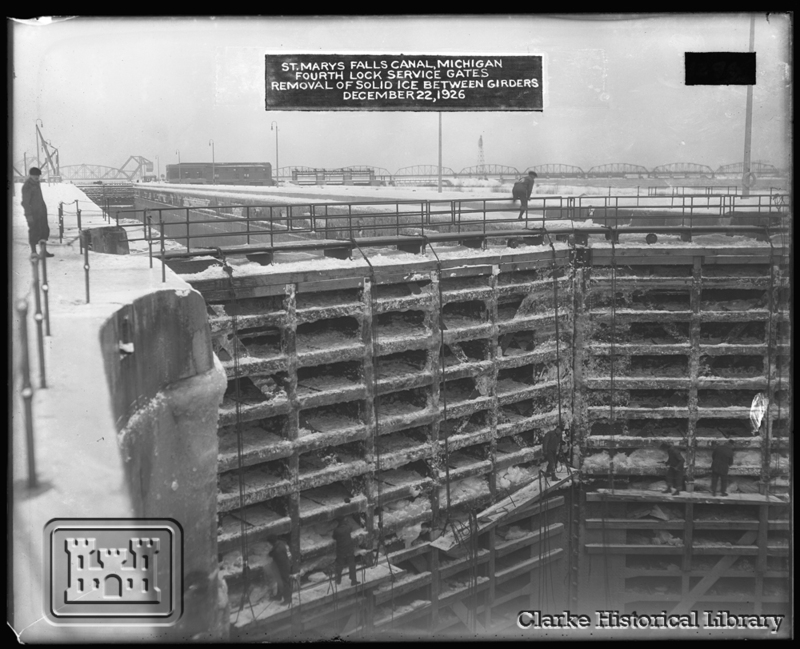 Today, the Clarke Historical Library is pleased to announce the availability of over 1,700 images of the construction of the Soo Locks dating from circa 1885 to 1941. 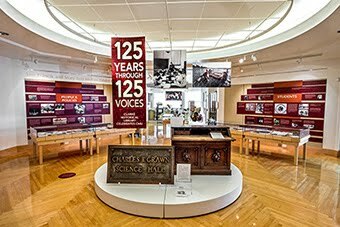 Through a freely accessible, keyword-searchable database, anyone in the world can now view digital copies of images that document over 50 years of construction, testing, and operation of a great engineering feat that has been a boon to the economy of the Great Lakes states and America. To access this database, visit http://clarke.cmich.edu/soolocks. 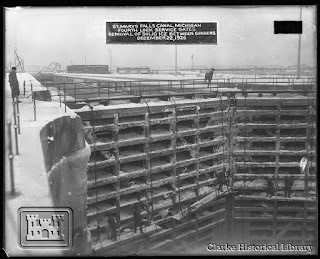 The images, which were digitized from the original glass photographic plates, show various stages of the construction of the now-closed Third (Davis) and Fourth (Sabin) Locks. These stages include surveying the St. Marys River above, at, and below the Locks, excavation of earth to form the Locks, construction of the walls that form the lock chambers, installation of mechanical devices and the lock gates, ships passing through operational Locks, and much more...even the extent of damage of the occasional accident!